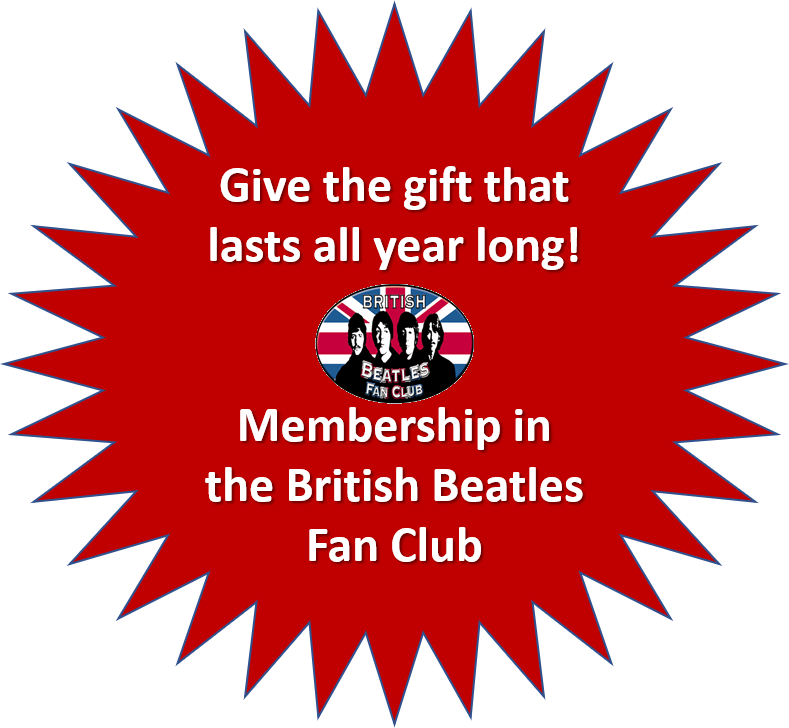 British Beatles Fan Club: BBFC Gift Memberships will bring joy all year long! BBFC Gift Memberships will bring joy all year long! Looking for the perfect gift for the Beatles fan in your life? It can be a struggle to find something they don't already have and doesn't cost a fortune. A gift membership to the British Beatles Fan club is the solution. Membership includes a year's subscription to our outstanding magazine (4 issues). The magazine includes articles and essays on Beatles related topics, reviews of new releases and books, and more. 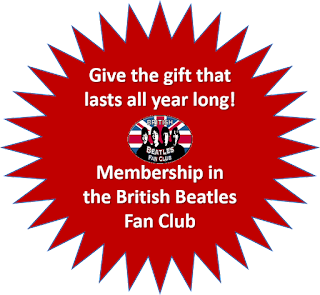 The membership package includes a Membership Card giving that entitles members to discounts on tickets to various events and other special offer and a British Beatles Fan Club badge. Members are also kept informed of special events and can enter our members-only competitions and special offers. The table below details the cost for a gift membership for 1 year. You can pay in any of the currencies listed. Prices are higher outside the UK due to postage costs. The membership package will include the latest issue at the time of subscription and that will be counted as the first of the 4 issues included in the membership. Visit our membership page and scroll down to the payment section. In the delivery address section of the PayPal transaction provide the recipient's address and in the notes section add a note saying "Gift Subscription for" and provide the recipient's name.